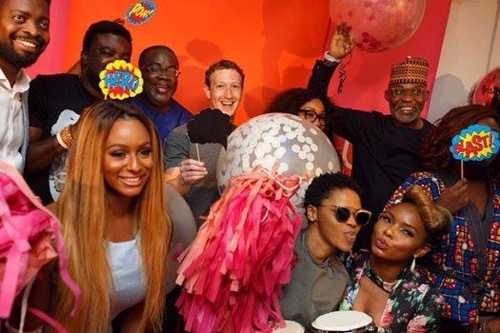 From the Mark Zuckerberg’s “Hackathon” initiative (of which I am a fan since couple of months back) where you have different young talented individuals all from around the world, lending their ideas to Facebook development team, way back in California to the very visits of Mark to the Sub Saharan Africa, everything really, is mind blowing. I wont be writing of Mark’s simplicity like everyone does cos I know him before now as the “grey-shirt-wearing-guy”, rather I will only say I love the fact that Nigeria was the First Stop and The Yaba Tech Hub Tour was the highlight, being the famously organized tech center in Nigeria. And let me blow you away with some statistics too as Facebook users grew to 120 millions active users in June, 2016. Howbeit 15millions of this users are Nigerians, yes Nigerians, 12.5% of the Africa Facebookers were Nigerians, when we only have Kenya as the farthest ranking second with 4.5millon users. So now you understand why Kenya was Mark’s next stop after Nigeria. That’s the appreciation mode he could best activate for you guys. Now, for me, the visit is more than Jamboree as the Nollywood sees it, with all the mushy mushy, wild laughs, excitements and “OMG-Is-This-Mark” kinda feeling. It is an inspiration for me to wanna do more, as I remembered he was only some bucks rich as at 2011, way behind Dangote’s then 16.8B dollars even as the richest man in Africa. And Some 5 years later with Mark Zuckerberg’s worth at 54.4B dollars, he is almost as five times richer as Dangote’s dwindling Dollars. This is my motivation…. This is what am talking about. Nigeria (Iyan)…. Kenya(Fufu)…. So where’s the next stop? I wander what he will be eating there.